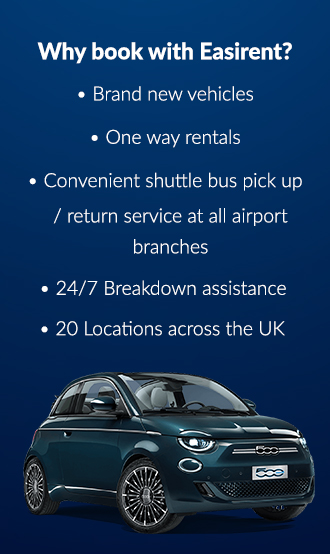 Hire a car or Hire a van and you can gain 1 point for every £1 that is spent. Redemption rentals are subject to availability and cannot be used over peak periods i.e Bank holidays, Christmas, School holidays. To redeem your points you must book through our friendly Reservations team. 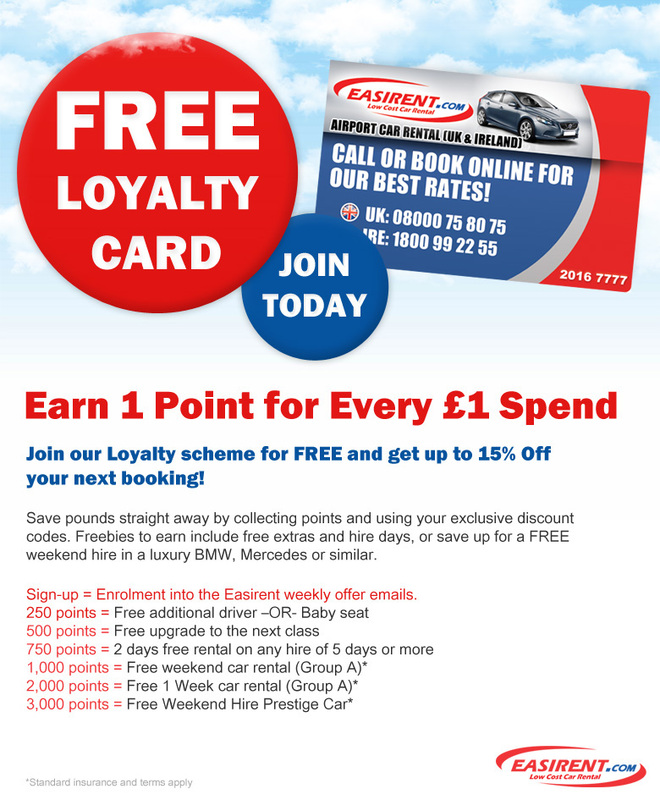 You can speak to them via Live Chat on our website, call them on 0800 075 80 75 or email reservations@easirent.com.